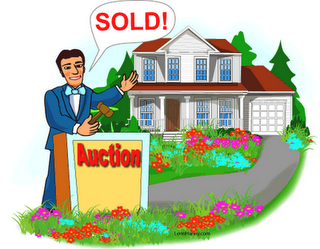 All About Real Estate Auctions: Do online real estate auctions work? Do online real estate auctions work? “Do online real estate auctions really work?” is a common question from anyone new to using online auctions to sell real estate. The answer: Yes, absolutely they work! That's why were seeing a huge shift of auctioneers and real estate agents to adjust their selling strategies and start using them. That's why REDC (auction.com & $5+ billion in sales last year) now has "online only" auctions in addition to their ballroom-style auctions. Prior to the popularity of the Internet, only live auctions were available. A live auction is successful in drawing attention, but there is substantial marketing cost and coordination involved. Today, however, the Internet has made the auction process available to more people and is changing the real estate auction industry. An online auction can be just as successful in drawing attention and can cost much less. The success will still be related to how well it is advertised and whether it’s a good deal, but an online auction is an easier alternative than it use to be. Sellers are looking for more options, an online auction provides one. Another reason that online real estate auctions are becoming popular is because buyers are more comfortable bidding online. No longer are online auctions just for “as-is”, sight unseen properties. The best success comes by opening the property for previews and allowing inspection periods and/or providing inspection reports. Another reason for their popularity is that it’s easier to bid than to write up a sales contract. All negotiation is automated and done on line. An auction is one of the best ways to market or find a deal on a property. As buyer confidence grows and the online Real Estate Auction successes continue, more sellers will move to online auctions, changing the way real estate is bought and sold for everyone. Multiple Offers: A good thing?